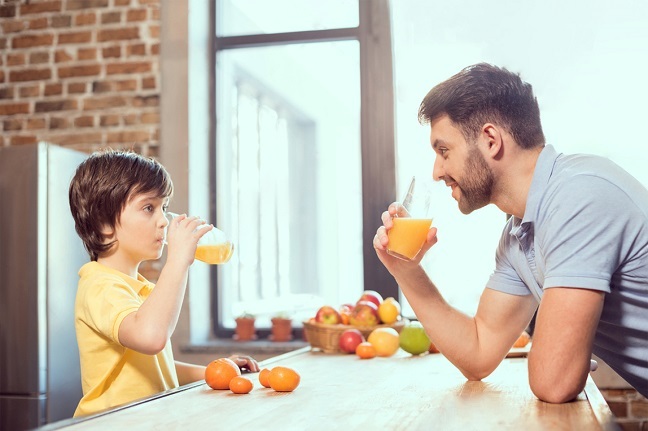 According to ‘Food Industry & Nutrition’, there is no better way to absorb vitamins, enzymes and minerals from fruit and vegetables than by drinking juice. Studies have shown that the absorption rate is up to 4 times higher and digestion times are also significantly improved. Furthermore a cold pressed juice retains up to 5 times more vitamins, nutrients, minerals and anti-oxidants than juice from blenders. Hurom takes their juicers seriously. 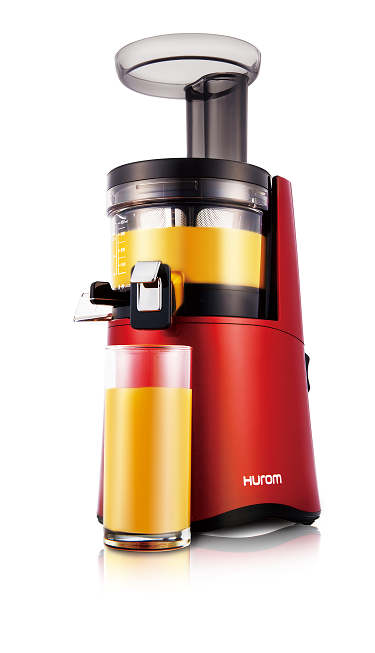 Hurom’s State-Of-The-Art Slow Squeezing Technology works just like a manual citrus press, by gently squeezing the juice from fruits, vegetables, nuts and grains, while preserving the natural enzymes, nutrition, color and flavor. You could say it’s pure nutrition straight to your glass. As technology evolves and we strive to source healthier alternatives, the benefits of Cold Press Juicing are now more apparent than ever. Many health professionals advocate the use of Cold Press Juice to assist in the fight against a number of diseases, including cancer. Health, fitness and wellbeing experts recognize the nutritional advantages of cold press juices compared with traditional high speed alternatives. By gently squeezing your ingredients rather than blending them, Hurom Cold Press Juicers will deliver the smoothest, silkiest, froth-free juices with less pulp and less waste, while always preserving the natural taste and nutrition of each ingredient. Their versatility allows you to create delicious recipes ranging from wholesome green juices and wheat grasses to nut milk and sorbet. Explore the many creative combinations of fruits, vegetables, nuts, and herbs. Try squeezing a whole bunch of fruits or keep it simple and make yourself a nice glass of orange or dalandan juice. Load up on protein with cashews and almonds or go for a detox with green veggies and citrus. You’ll quickly find that healthy foods you don’t typically like to eat are addictively tasty in juice form. Immunity Support juice recipes are packed with iron, vitamin C, E, and B6 to strengthen the immune system. Drink these recipes frequently to ensure a balanced and healthy immune system. Our Immunity Support juice recipes consist of much more than citrus fruits, but also leafy greens such as spinach and kale, bell peppers, and strawberries. When juicing for health it is important to keep the proper minerals and vitamins in your diet. 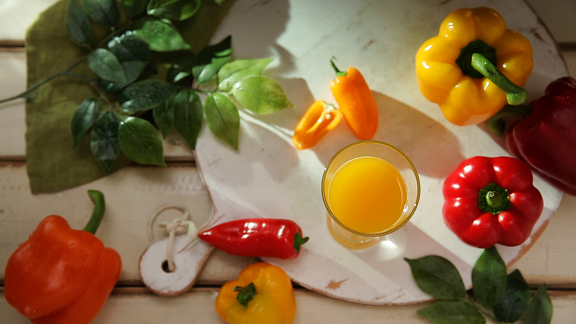 Adding this Bell Pepper and Orange juice recipe will ensure you get plenty of vitamin C, calcium, and iron — minerals that are essential in a daily diet. 2016 New HuromH-AA Series Slow Juicers are available in Abenson, Anson Link, Duty Free, Gourdo’s, Rustan’s, Landmark, Royal Duty Free, SM Appliance, SM Home, True Value, and Western Appliances. To learn more about Hurom Slow Juicers, visit the official website at www.hurom.comand follow us on our social media accounts: (Facebook) http://www.facebook.com/huromphofficial, and (Twitter &Instagram) @HuromPHofficial. You may contact directly to hotlines (+632) 376-0568/ (+632) 926-8009.